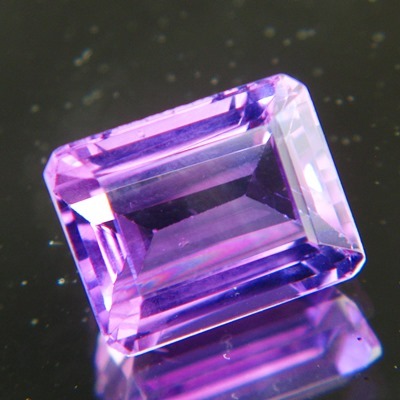 Comment: Only Amethyst in the deepest purple can be cut into emerald shape without losing too much color in the center. 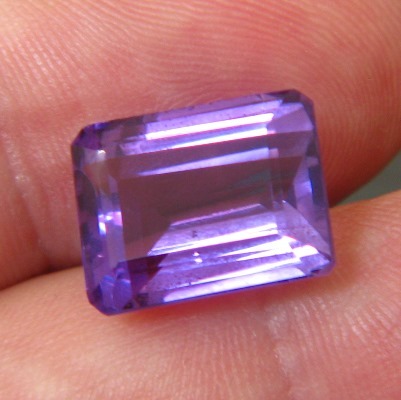 Low tones and deep hues are hard to find qualities in unheated amethyst, such as this one. Study the image on white background: even there the center keeps its purple-violet hue despite the off-center cut in the back, officially no window. See also the low light image. These amethyst from Uruguay get more intense in the dark but never black-out. Equal color distribution throughout the gem, meaning no color-zoning. No inclusions even under the lens, no treatments, almost no window - our 3xNo standard fulfilled. IGE report from Madrid. 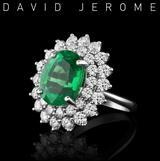 14x11mm face-up but under ten carats for the invoice. 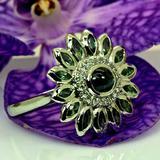 Let's make a posh cocktail ring or a pendant, from simple four prong with loop to an elaborated full-sized halo, or even a design wilder and posher than this. Under $1k for the gem leaves budget for a setting.